There is a belief that your home and your wardrobe should be similar – a reflection of your true self. I think in this case they might be right. 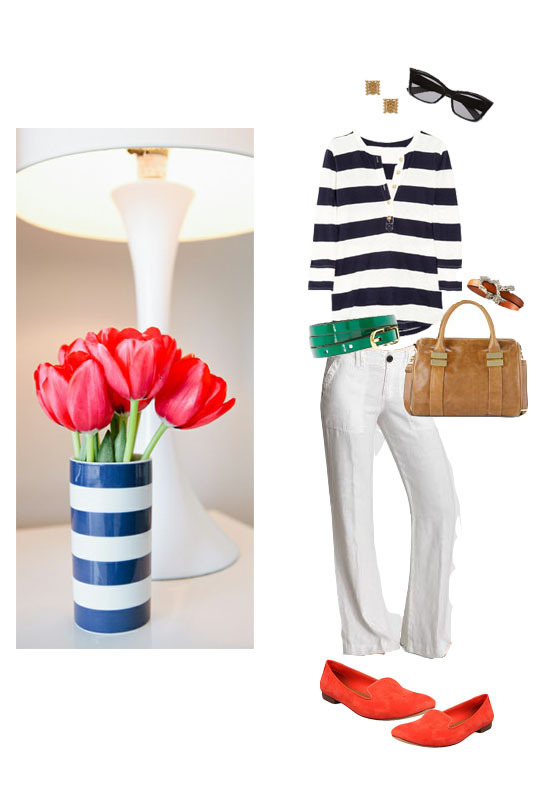 Bold rugby stripes and a bright pop of color – wearable and cheerfully livable. Hello, Spring. We’re waiting for you. Home image via The Glitter Guide. They are sparkly.